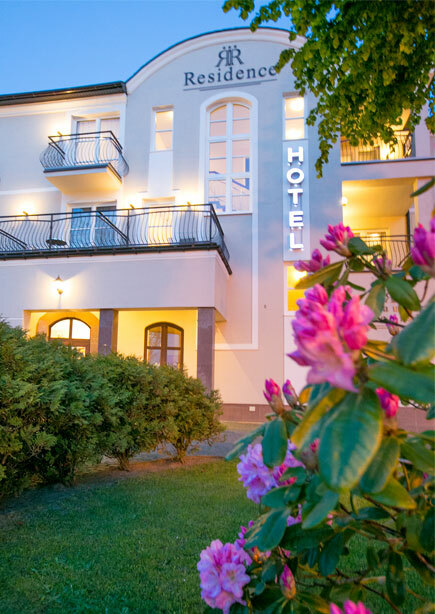 If you are looking for a hotel by the sea, which can offer a peaceful stay, comfortable conditions and many additional attractions, holidays at the Residence Hotel will be an excellent choice. Professional service, friendly staff, splendid cuisine and elegant rooms and suites guarantee you will have marvelous accommodation and ensure you keep our hotel in wonderful memory. Beautifully located on the coast of the cliff, several meters from the beautiful Rewal beach. Rooms have beautiful view to the sea, and some of them have balconies. The hotel’s restaurant “Rycerska” serves Polish cuisine, the menu also includes meals from different parts of the world and diet dishes. For gourmets we can offer freshly caught fish or original doner kebab. Breakfast is served in the form of buffet. The restaurant hosts banquets, weddings, special events and business meetings. A game of billiards is an excellent idea for a get-together with friends. Hotel Cafe’ is a perfect place to meet with family or friends and while sipping coffee marvel over magnificent sea view through panoramic windows. Enjoy a session in the sauna after an eventful day. A visit to the sauna helps to relax physically and mentally, it is also a great way to improve health. A visit to the sauna helps to relax physically and mentally, it is also a great way to improve health.